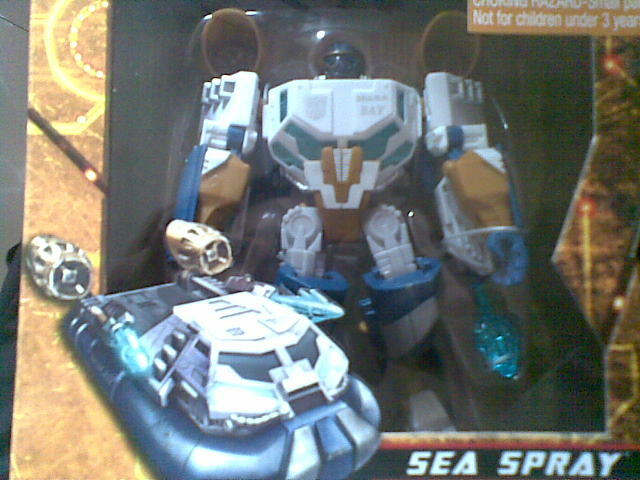 Update: Multiple detailed pictures of the new voyager-class Sea Spray in package and loose have surfaced. Check out the entire gallery at TFW2005.com . The new Transformers: War for Cybertron video game trailer has been released. It’s 2:14 of cool, voiced mainly by Peter Cullen, Optimus Prime himself. Among characters revealed in the trailer are Bumblebee, Omega Supreme, and Trypticon – really, Trypticon. Whether these will all be playable characters or not is yet to be revealed, but the video looks snazzy enough to whet appetites. Check it out on IGN.